Just a 5-minute drive from Santa Maria Madalena centre, Pousada Verbicaro is surrounded by Atlantic forest and is located on Madalena Road. It features indoor and outdoor pools, a fitness centres and free Wi-Fi in rooms. Located in the Glicerio region, known for its hiking trails, waterfalls, and canoeing area, Hotel Fazenda Trapiche offers all inclusive meals, BBQ facilities, and an outdoor pool. Wi-Fi and parking are free. 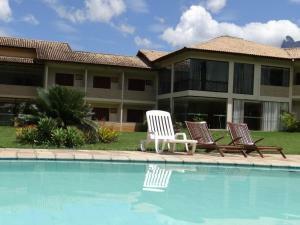 Villa São Romão features private chalets and a picturesque hilltop location 21 km from Lumiar. Surrounded by quaint cobblestone courtyards and flowered gardens, it offers a pool and eco-tourism activities. Surrounded by the Atlantic Forest, among waterfalls and lakes, Parador Lumiar offers a mineral water pool, hiking activities and air-conditioned rooms. A relaxing spa, fitness centre and free Wi-Fi are available. 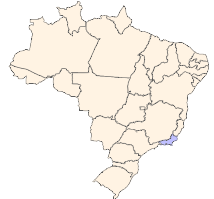 Positioned on the Macaé River, Pousada Estação Lumiar is just a 3-minute drive from the Lumiar Centre. 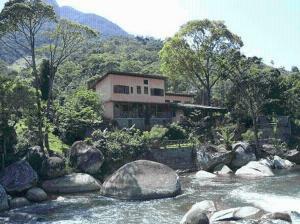 With direct views of Pedra Riscada, it offers free wired internet and free private parking.